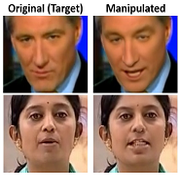 In this paper, we examine the realism of state-of-the-art facial image manipulation methods, and how difficult it is to detect them - either automatically or by humans. In particular, we create a datasets that is focused on DeepFakes, Face2Face, and FaceSwap as prominent representatives for facial manipulations. Research highlight of the Face2Face approach featured on the cover of Communications of the ACM in January 2019. 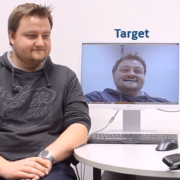 Face2Face is an approach for real-time facial reenactment of a monocular target video. The method had significant impact in the research community and far beyond; it won several wards, e.g., Siggraph ETech Best in Show Award, it was featured in countless media articles, e.g., NYT, WSJ, Spiegel, etc., and it had a massive reach on social media with millions of views. The work was arguably started bringing attention to manipulations of facial videos. 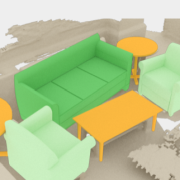 We introduce Inverse Path Tracing, a novel approach to jointly estimate the material properties of objects and light sources in indoor scenes by using an invertible light transport simulation. We introduce 3D-SIS, a novel neural network architecture for 3D semantic instance segmentation in commodity RGB-D scans. 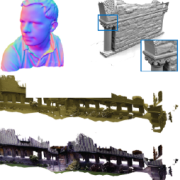 We present Scan2CAD, a novel data-driven method that learns to align clean 3D CAD models from a shape database to the noisy and incomplete geometry of a commodity RGB-D scan. 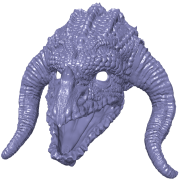 We introduce Scan2Mesh, a novel data-driven approach which introduces a generative neural network architecture for creating 3D meshes as indexed face sets, conditioned on an input partial scan. 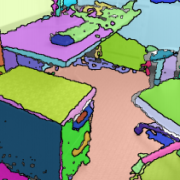 In this work, we address the lack of 3D understanding of generative neural networks by introducing a persistent 3D feature embedding for view synthesis. 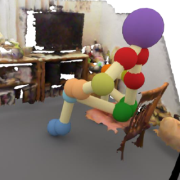 To this end, we propose DeepVoxels, a learned representation that encodes the view-dependent appearance of a 3D object without having to explicitly model its geometry. 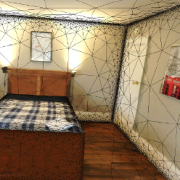 We introduce, TextureNet, a neural network architecture designed to extract features from high-resolution signals associated with 3D surface meshes (e.g., color texture maps). The key idea is to utilize a 4-rotational symmetric (4-RoSy) field to define a domain for convolution on a surface. We present an efficient convolution kernel for Convolutional Neural Networks (CNNs) on unstructured grids using parameterized differential operators while focusing on spherical signals such as panorama images or planetary signals. To this end, we replace conventional convolution kernels with linear combinations of differential operators that are weighted by learnable parameters. We develop mathematical formulations for Non-Uniform Fourier Transforms (NUFT) to directly, and optimally, sample nonuniform data signals of different topologies defined on a simplex mesh into the spectral domain with no spatial sampling error. The spectral transform is performed in the Euclidean space, which removes the translation ambiguity from works on the graph spectrum. In this paper, we demonstrate that the inaccurate numerical Jacobian limits the convergence range which could be improved greatly using learned approaches. Based on this observation, we propose a novel end-to-end network, RegNet, to learn the optimization of image-to-image pose registration. By jointly learning feature representation for each pixel and partial derivatives that replace handcrafted ones (e.g., numerical differentiation) in the optimization step, the neural network facilitates end-to-end optimization. ForensicTransfer tackles two challenges in multimedia forensics. First, we devise a learning-based forensic detector which adapts well to new domains, i.e., novel manipulation methods. Second we handle scenarios where only a handful of fake examples are available during training. 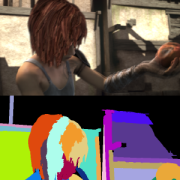 We propose a new learning-based novel view synthesis approach for scanned objects that is trained based on a set of multi-view images, where we directly train a deep neural network to synthesize a view-dependent image of an object. 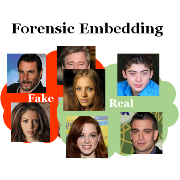 In this paper, we introduce FaceForensics, a large scale video dataset consisting of 1004 videos with more than 500000 frames, altered with Face2Face, that can be used for forgery detection and to train generative refinement methods. We present Calipso, an interactive method for editing images and videos in a physically-coherent manner. Our main idea is to realize physics-based manipulations by running a full physics simulation on proxy geometries given by non-rigidly aligned CAD models. 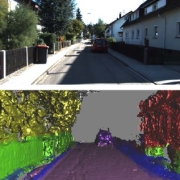 We introduce a new method that efficiently computes a set of viewpoints and trajectories for high-quality 3D reconstructions in outdoor environments. 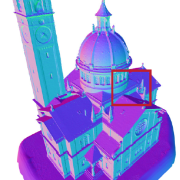 Our goal is to automatically explore an unknown area, and obtain a complete 3D scan of a region of interest (e.g., a large building). 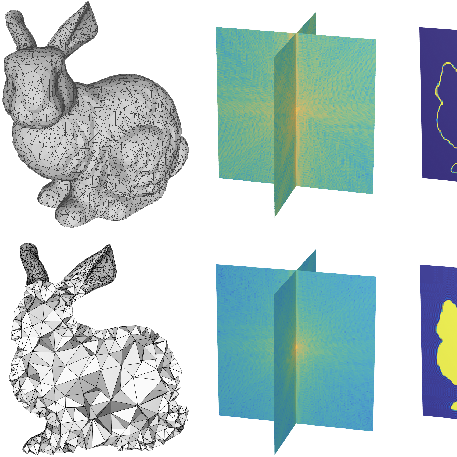 In this paper, we organize large shape collections into parameterized shape templates to capture the underlying structure of the objects. The templates allow us to transfer the structural information onto new objects and incomplete scans. 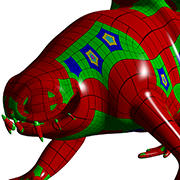 QuadriFlow is a scalable algorithm for generating quadrilateral surface meshes based on the Instant Field-Aligned Meshes of Jakob et al.. We modify the original algorithm such that it efficiently produces meshes with many fewer singularities. Singularities in quadrilateral meshes cause problems for many applications, includ- ing parametrization and rendering with Catmull-Clark subdivision surfaces. 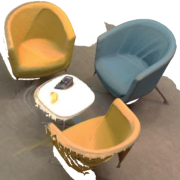 We present 3DMV, a novel method for 3D semantic scene segmentation of RGB-D scans in indoor environments using a joint 3D-multi-view prediction network. In contrast to existing methods that either use geometry or RGB data as input for this task, we combine both data modalities in a joint, end-to-end network architecture. We introduce a novel RGB-D patch descriptor designed for detecting coplanar surfaces in SLAM reconstruction. 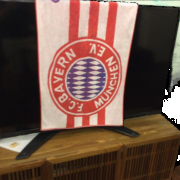 The core of our method is a deep convolutional neural net that takes in RGB, depth, and normal information of a planar patch in an image and outputs a descriptor that can be used to find coplanar patches from other images. We propose HeadOn, the first real-time source-to-target reenactment approach for complete human portrait videos that enables transfer of torso and head motion, face expression, and eye gaze. 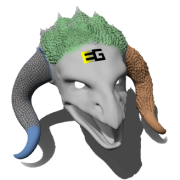 Given a short RGB-D video of the target actor, we automatically construct a personalized geometry proxy that embeds a parametric head, eye, and kinematic torso model. A novel real-time reenactment algorithm employs this proxy to photo-realistically map the captured motion from the source actor to the target actor. 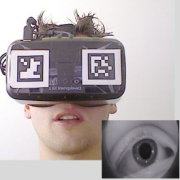 We propose FaceVR, a novel image-based method that enables video teleconferencing in VR based on self-reenactment. 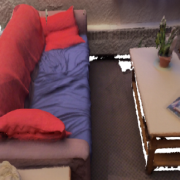 FaceVR enables VR teleconferencing using an image-based technique that results in nearly photo-realistic outputs. 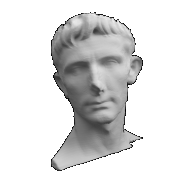 The key component of FaceVR is a robust algorithm to perform real-time facial motion capture of an actor who is wearing a head-mounted display (HMD). 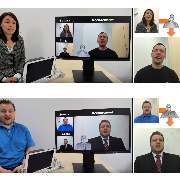 Our novel approach enables photo-realistic re-animation of portrait videos using only an input video. The core of our approach is a generative neural network with a novel space-time architecture. 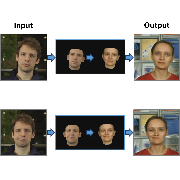 The network takes as input synthetic renderings of a parametric face model, based on which it predicts photo-realistic video frames for a given target actor. We introduce InverseFaceNet, a deep convolutional inverse rendering framework for faces that jointly estimates facial pose, shape, expression, reflectance and illumination from a single input image. 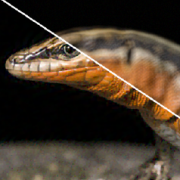 By estimating all parameters from just a single image, advanced editing possibilities on a single face image, such as appearance editing and relighting, become feasible in real time. 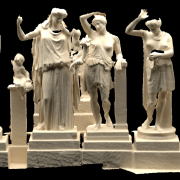 We introduce ScanComplete, a novel data-driven approach for taking an incomplete 3D scan of a scene as input and predicting a complete 3D model along with per-voxel semantic labels. 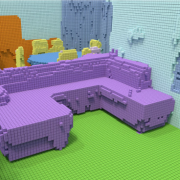 The key contribution of our method is its ability to handle large scenes with varying spatial extent, managing the cubic growth in data size as scene size increases. 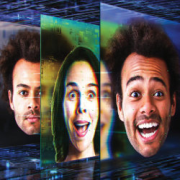 This state-of-the-art report summarizes recent trends in monocular facial performance capture and discusses its applications, which range from performance-based animation to real-time facial reenactment. 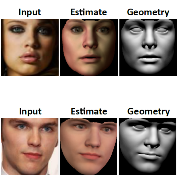 We focus our discussion on methods where the central task is to recover and track a three dimensional model of the human face using optimization-based reconstruction algorithms. In this state-of-the-art report, we analyze these recent developments in RGB-D scene reconstruction in detail and review essential related work. We explain, compare, and critically analyze the common underlying algorithmic concepts that enabled these recent advancements. Furthermore, we show how algorithms are designed to best exploit the benefits of RGB-D data while suppressing their often non-trivial datadistortions. 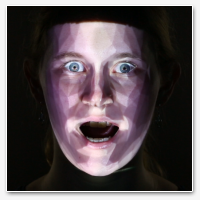 In this paper, we introduce FaceForge, a multi-projection mapping system that is able to alter the appearance of a non-rigidly moving human face in real time. 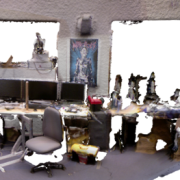 In this paper, we introduce Matterport3D, a large-scale RGB-D dataset containing 10,800 panoramic views from 194,400 RGB-D images of 90 building-scale scenes. 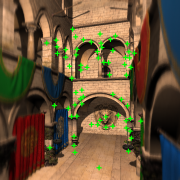 We introduce a novel multi-frame scene flow approach that jointly optimizes the consistency of the patch appearances and their local rigid motions from RGB-D image sequences. 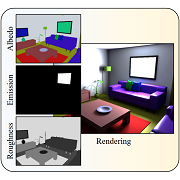 We present 3DLite, a novel approach to reconstruct 3D environments using consumer RGB-D sensors, making a step towards directly utilizing captured 3D content in graphics applications, such as video games, VR, or AR. 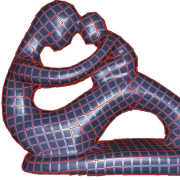 Rather than reconstructing an accurate one-to-one representation of the real world, our method computes a lightweight, low-polygonal geometric abstraction of the scanned geometry. 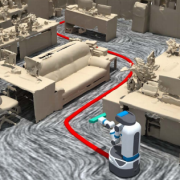 We present a navigation-by-reconstruction approach to address this question where moving paths of the robot are planned to account for both global efficiency for fast exploration and local smoothness to obtain high-quality scans. We propose a new language, Opt, in which a user simply writes energy functions over image- or graph-structured unknowns, and a compiler automatically generates state-of-the-art GPU optimization kernels. 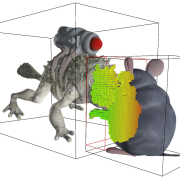 We introduce a novel, real-time, end-to-end 3D reconstruction framework, with a robust pose optimization strategy based on sparse feature matches and dense geometric and photometric alignment. 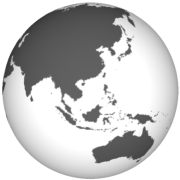 One main contribution is the ability to update the reconstructed model on-the-fly as new (global) pose optimization results become available. We introduce a novel method to obtain high-quality 3D reconstructions from consumer RGB-D sensors. Our core idea is to simultaneously optimize for geometry encoded in a signed distance field (SDF), textures from automaticallyselected keyframes, and their camera poses along with material and scene lighting. 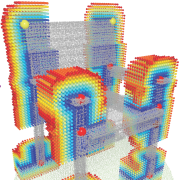 We propose a lightweight, learning-based approach for surface reflectance estimation directly from 8-bit RGB images in real-time, which can be easily plugged into any 3D scanning-and-fusion system with a commodity RGBD sensor. 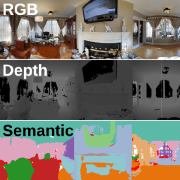 We introduce ScanNet, an RGB-D video dataset containing 2.5M views in 1513 scenes annotated with 3D camera poses, surface reconstructions, and semantic segmentations. 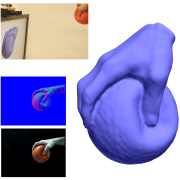 We introduce a data-driven approach to complete partial 3D shapes through a combination of volumetric deep neural networks and 3D shape synthesis. From a partially-scanned input shape, our method first infers a low-resolution - but complete - output. In this paper, we introduce 3DMatch, a data-driven local feature learner that jointly learns a geometric feature representation and an associated metric function from a large collection of real-world scanning data. In this paper, we present a novel, general, and efficient architecture for addressing computer vision problems that are approached from an `Analysis by Synthesis' standpoint. 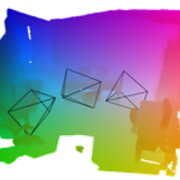 We present a novel approach for the reconstruction of dynamic geometric shapes using a single hand-held consumer-grade RGB-D sensor at real-time rates. 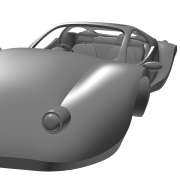 Our method does not require a pre-defined shape template to start with and builds up the scene model from scratch during the scanning process. 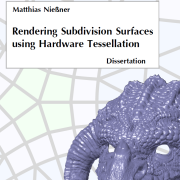 We present a novel method for real-time rendering of subdivision surfaces whose goal is to make subdivision faces as easy to render as triangles, points, or lines. 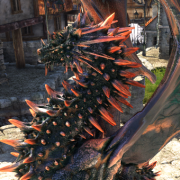 Our approach uses the GPU tessellation hardware and processes each face of a base mesh independently and in a streaming fashion, thus allowing an entire model to be rendered in a single pass. 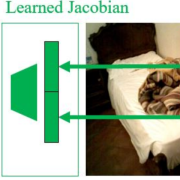 We learn a probabilistic model connecting human poses and arrangements of objects from observations of interactions collected with commodity RGB-D sensors. 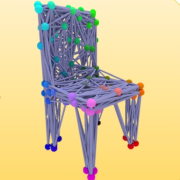 This model is encoded as a set of Prototypical Interaction Graphs (PiGraphs): a human-centric representation capturing physical contact and attention linkages between geometry and the human body. ProxImaL is a domain-specific language and compiler for image optimization problems that makes it easy to experiment with different problem formulations and algorithm choices. The compiler intelligently chooses the best way to translate a problem formulation and choice of optimization algorithm into an efficient solver implementation. 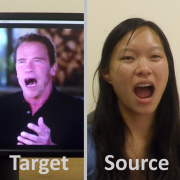 We present a novel approach for real-time facial reenactment of a monocular target video sequence (e.g., Youtube video). The source sequence is also a monocular video stream, captured live with a commodity webcam. 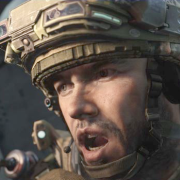 Our goal is to animate the facial expressions of the target video by a source actor and re-render the manipulated output video in a photo-realistic fashion. In this paper, we improve both Volumetric CNNs and Multi-view CNNs by introducing new distinct network architectures. 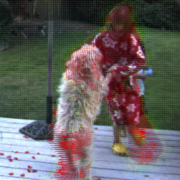 Overall, we are able to outperform current state-of-the-art methods for both Volumetric CNNs and Multi-view CNNs. 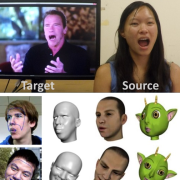 We present a method for the real-time transfer of facial expressions from an actor in a source video to an actor in a target video, thus enabling the ad-hoc control of the facial expressions of the target actor. Using projection mapping enables us to bring virtual worlds into shared physical spaces. In this paper, we present a novel, adaptable and real-time projection mapping system, which supports multiple projectors and high quality rendering of dynamic content on surfaces of complex geometrical shape. Our system allows for smooth blending across multiple projectors using a new optimization framework that simulates the diffuse direct light transport of the physical world to continuously adapt the color output of each projector pixel. 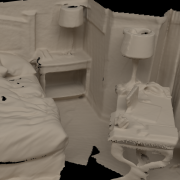 We present a novel method to generate 3D scenes that allow the same activities as real environments captured through noisy and incomplete 3D scans. 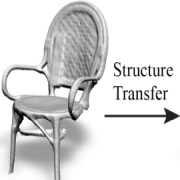 In this paper, we propose method to efficiently ray trace subdivision surfaces using a lazy-build caching scheme while exploiting the capabilities of today's many-core architectures. Our approach is part of Intel's Embree. 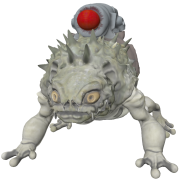 In this survey, we provide an overview of real-time rendering techniques with hardware tessellation by summarizing, discussing, and comparing state-of-the art approaches. 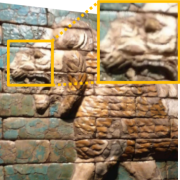 We present a novel method to obtain fine-scale detail in 3D reconstructions generated with low-budget RGB-D cameras or other commodity scanning devices. In this paper, we train a regression forest to predict mixtures of anisotropic 3D Gaussians and show how the predicted uncertainties can be taken into account for continuous pose optimization. Experiments show that our method is able to relocalize up to 40 percent more frames than the state of the art. In this paper, we build on a recent hash-based technique for large-scale fusion and an efficient mean-field inference algorithm for densely-connected CRFs to present what to our knowledge is the first system that can perform dense, large-scale, outdoor semantic reconstruction of a scene in (near) real time. We present an augmented reality system for large scale 3D reconstruction and recognition in outdoor scenes. Unlike existing prior work, which tries to reconstruct scenes using active depth cameras, we use a purely passive stereo setup, allowing for outdoor use and extended sensing range. 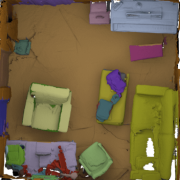 We present a novel reconstruction approach based on retrieving objects from a 3D shape database while scanning an environment in real-time. 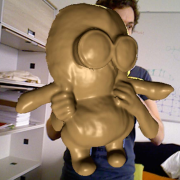 With this approach, we are able to replace scanned RGB-D data with complete, hand-modeled objects from shape databases. In this paper, we present dynamic feature-adaptive subdivision (DFAS), which improves upon FAS by enabling an independent subdivision depth for every irregularity. In this paper, we present a method to establish a correlation between the geometry and the functionality of 3D environments. 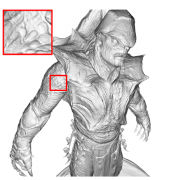 We present the first real-time method for refinement of depth data using shape-from-shading in general uncontrolled scenes. 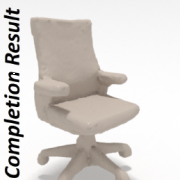 We present a combined hardware and software solution for markerless reconstruction of non-rigidly deforming physical objects with arbitrary shape in real-time. We present a novel real-time approach for fine-scale surface deformations resulting from collisions. 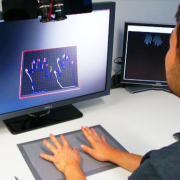 We present RetroDepth, a new vision-based system for accurately sensing the 3D silhouettes of hands, styluses, and other objects, as they interact on and above physical surfaces. 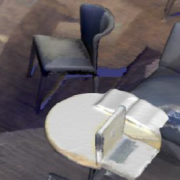 In this state of the art report, we provide an overview of recent work and challenges in this topic by summarizing, discussing and comparing methods for the rendering of smooth and highly detailed surfaces in real-time. 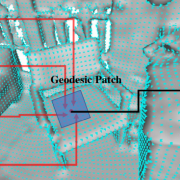 We present a novel method to improve the robustness of real-time 3D surface reconstruction by incorporating inertial sensor data when determining inter-frame alignment. With commodity inertial sensors, we can significantly reduce the number of iterative closest point (ICP) iterations required per frame. 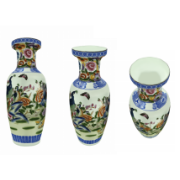 Online 3D reconstruction is gaining newfound interest due to the availability of real-time consumer depth cameras. We contribute an online system for large and fine scale volumetric reconstruction based on a memory and speed efficient data structure. Displacement mapping is ideal for modern GPUs since it enables high-frequency geometric surface detail on models with low memory I/O. 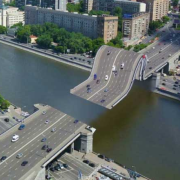 We provide a comprehensive solution to these problems by introducing a smooth analytic displacement function. 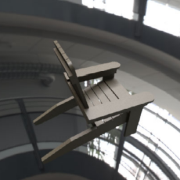 We present a novel method for real-time collision detection of patch based, displacement mapped objects using hardware tessellation. 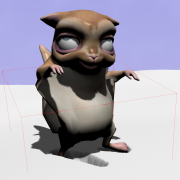 Our method supports fully animated, dynamically tessellated objects and runs entirely on the GPU. In this thesis we present techniques that facilitate the use of high-quality movie content in real-time applications that run on commodity desktop computers. 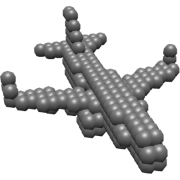 We utilize modern graphics hardware and use hardware tessellation to generate surface geometry on-the-fly based on patches. 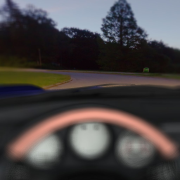 We present a novel approach that simulates human vision including visual defects such as glaucoma by temporal composition of human vision in real-time on the GPU. 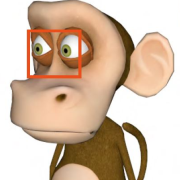 Therefore, we determine eye focus points every time step and adapt the lens accommodation of our virtual eye model accordingly. 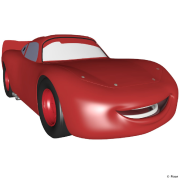 We present a novel method for high-performance GPU based rendering of Catmull-Clark subdivision surfaces. Unlike previous methods, our algorithm computes the true limit surface up to machine precision, and is capable of rendering surfaces that conform to the full RenderMan specification for Catmull-Clark surfaces. 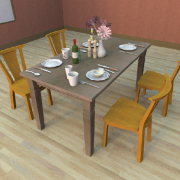 We present an occlusion culling algorithm that leverages the unique characteristics of patch primitives within the hardware tessellation pipeline. We present a novel method to evaluate semi-smooth creases in Catmull-Clark subdivision surfaces. 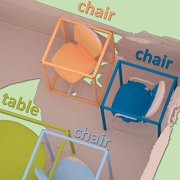 Our algorithm supports both integer and fractional crease tags corresponding to the RenderMan (Pixar) specification. 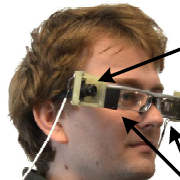 We present a novel approach that allows real-time simulation of human vision through eyeglasses. Our system supports glasses that are composed of a combination of spheric, toric and in particular of free-form surfaces.